The flowers have just started blooming here in Rhode Island and the sweet smells inspired me to share some ideas for buds that will have your taste buds begging for more! 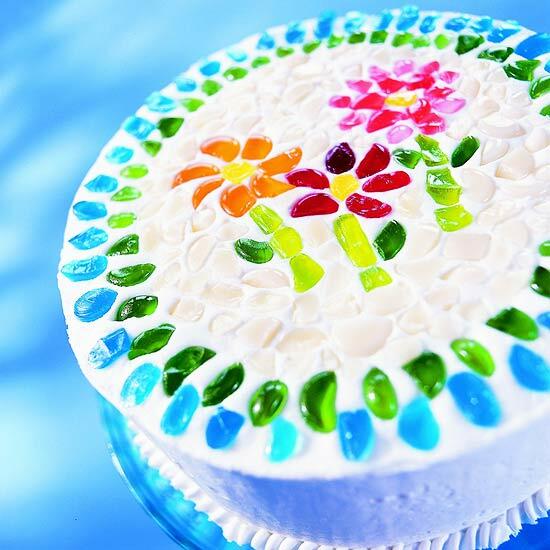 This flower mosaic cake is so pretty! 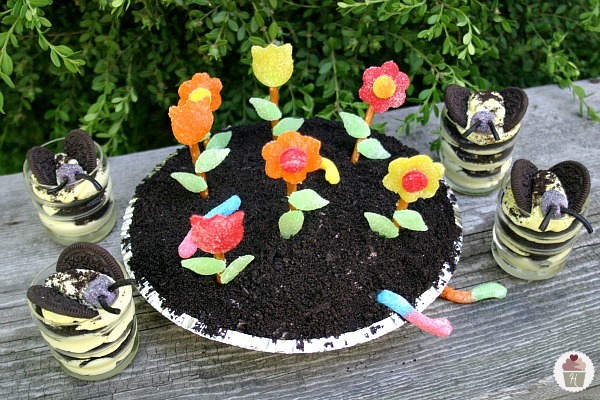 How much would your kiddos love some Flower Pot Pie with Bumble Bee Pudding? 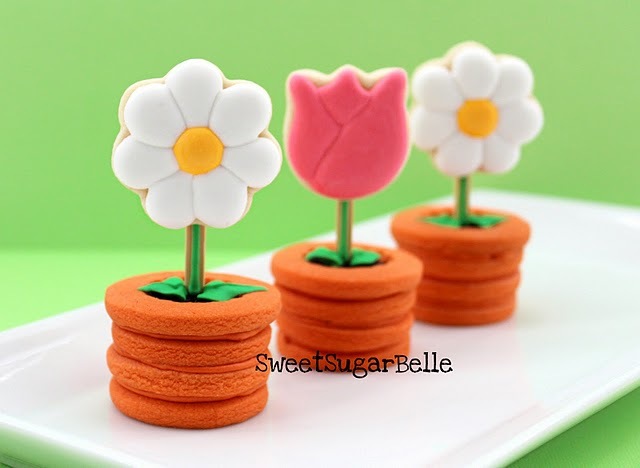 3-D Potted Flower Cookies are sure to hit the spot. 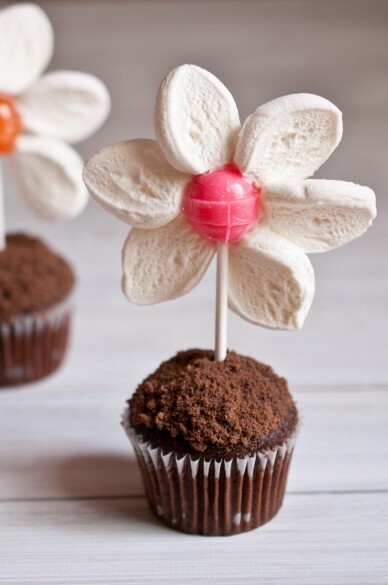 And all it takes to make these springy cupcake toppers is lollipops and marshmallows! So there's a little taste of spring for you (get it???). If you're looking for more fab flower ideas, visit my Pinterest Boards!